Tea anyone? After decades of erosion of the U.S. Constitution, the United States is faced with a major constitutional crisis not seen since the Civil War. A president and his administration filled with scandals and plagued by economic woes surprisingly wins re-election to a second term largely based on an "October Surprise" and the promise of redistribution of the nation's wealth. The night he is re-elected, an assassination attempt throws America into chaos, resulting in riots, food shortages and violence across the country. Texas Ranger Pops Younger is faced with defying his oath of office to defend the Constitution against all enemies - foreign and domestic. A bloated federal government that has overreached its authority and encroached on Texans' civil rights has ignited the passions and ire of an extreme element determined to alter the course of normal politics forever. Conflicted with his lifelong dedication to the rule of law, Younger must choose between following the law or taking a stand against modern-day tyranny, leading to suspenseful cataclysmic events. December 1943. The momentum of the Second World War has shifted in favor of the Allies, and American confidence in the security situation has soared in the past few months. City lights and radio stations are back on across the East Coast as normalcy has returned to America. While Germany may be down, though, it isn’t out, and the Luftwaffe has developed the technology to get Nazi Germany back in the war. ISIS delivered a devastating attack, crippling not just one city, as on 9-11, but the entire country. The government, while disbursing critical supplies, decided that this was an excellent time to consolidate power, and for one senator, the chance to lock in the presidency. An opportunity to bring the right-wing, anti-federal-government gun fanatics to heel. The government moved quickly to disarm the populace, using control of food and fuel as weapons, but things did not go quite as expected. Channeling his 20 years of experience on the issue, Daniel Miller takes the listener through the historical and cultural foundations of Texit, as well as its impact on mainstream politics, and plainly lays out the grievances expressed by many Texans that drive their support for an independent Texas. Texit also addresses the most common objections by using facts and sheds light on what a future Republic of Texas could look like. Jack Bunker vowed to never step foot on another battlefield. 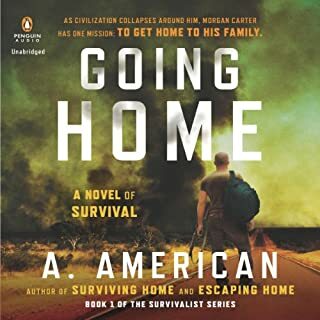 But the former combat engineer’s new peaceful life in the Colorado mountains is shattered after an attack takes out America’s power grid. 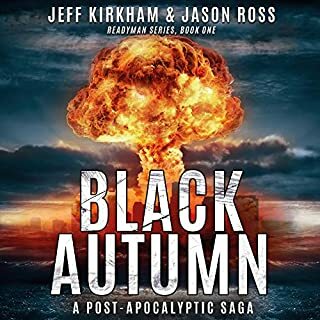 When suspicious activity plagues the nearby high-security military facility, Bunker fears he’ll soon have another war on his hands. As the story unfolds, Bunker suspects a foreign invasion is imminent, leaving him no other choice but to somehow transform the mild-mannered townsfolk into military-grade guerrilla warriors. He knows if their small town surrenders, America won’t be far behind. Rangers take their promises seriously, and when a squad with the 75th Rangers makes a solemn vow to their gravely wounded platoon sergeant, they will move heaven and earth to honor it. When the political structure of the US shifts, the former Rangers will have to go to great lengths to keep their vow. The center of world power has just been jolted when the vice president of the US is poisoned to death. During the ensuing investigation, FBI Agent Tim Lane discovers something that will send shock waves around the globe. Meanwhile, on his way back to Stanford, college freshman Ryan Lane accidentally takes his brother’s duffel, his secret duffel. 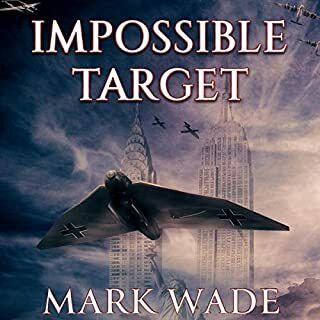 Suddenly, a swarm of assassins, terrorists, and rogue federal agents are after what Ryan has and what he may now know, propelling him into a desperate search for his brother, who has mysteriously disappeared. 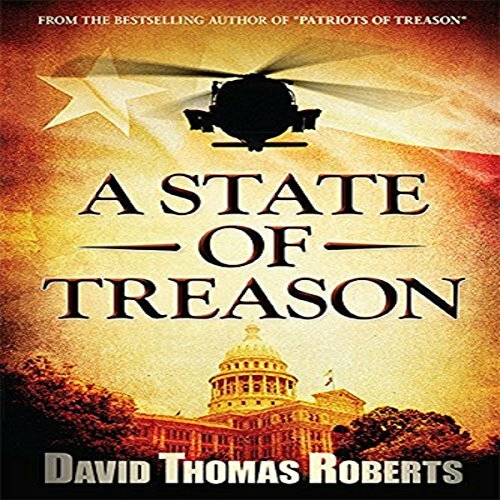 The Governor of Texas, the self-described mortal enemy of the president, directs a legendary Texas Ranger to rescue a Tea Party organizer from the clutches of federal agents. The resulting struggle sets the stage for a cataclysmic power struggle between officials in Austin and Washington, DC, further polarizing the nation and resulting in arrest warrants for duly elected state officials. The rest of the country and, the world, watches in awe and despair as the "Texas Crisis" unfolds, affecting world financial markets amid skyrocketing fuel prices. The Texas legislature sends the vote to the people of Texas and the president orders the vote stopped as he suspends the Second Amendment and declares martial law. Texas is now in A State of Treason. Entertaining with lots of action and suspense. 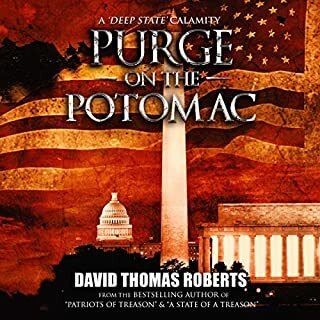 This is the sequel to Patriots of Treason in the Patriots Series. 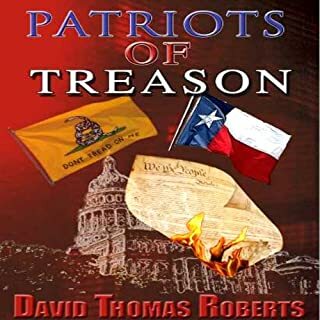 It picks up where book one ended and continues the political struggles, including the Federal corruption and brutality, that are the basis for Texas considering seceding from the United States. The story moves along well and includes good action which keeps it entertaining. There are several key characters, good guys and villains, who are life-like personalities. Particularly the legendary Texas Ranger, Pops Younger, is a strong character who encompasses the “don’t mess with Texas” attitude. The plotline made me ponder how I would feel about any state taking sides against the Union that we love. The author incorporates some timely political issues. Of course, in this book the corruption, including lies, cover-ups and murder, was truly extreme, providing a basis for the actions of the Texas leadership. The cost of rebellion is great but to capitulate might result in loss of freedoms that are intended as part of the American way. I enjoyed this entertaining story of a state at odds with a corrupt Federal government. 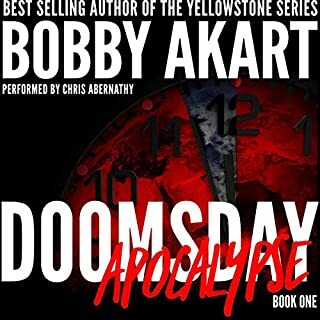 I recommend this series to readers who like alternate history, action stories. Audio Notes: Charles Craig does a good job with the narration. His voice took a bit to get used to but pretty soon it seemed to fit the nature of the story. I found this to be good listening! Quickly Now, change everyone's identity to protect the guilty! This book has its finger on the pulse of our country, I know it is a work of fiction, but What if? This book moved along with the story line at a good pace, and didn't use s lot of fluff to fill in like so many books do when the writer is waiting to be inspired with the next idea. Roberts has a talent for taking current events and spinning them into a fictional but ever possible circumstance. This book is riveting and keeps you thirsty for what will happen next while extracting a plethora of emotions ranging from sadness and anger to outright elation! This book is a must read!